It looks so complex and a beautiful final effect. The colours are a lovely combination. 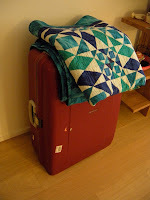 This quilt will keep your DD warm in London too! 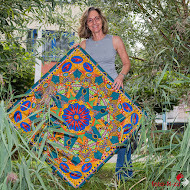 Wat een schitterende quilt Hilde. Ik heb hier een Storm at Sea liggen voor mijn oudste zoon, maar hij is halverwege het quilten blijven steken. Oh wat een prachtige kleuren heb je gebruikt in deze SaS, hij is verrukkelijk! En hoewel ik erg toe ben aan een ongecompliceerde quilt deze keer, jeuken mijn vingers alweer! You are my inspiration for Storm of Sea, but please your advice for how many fabrics for this blanket? 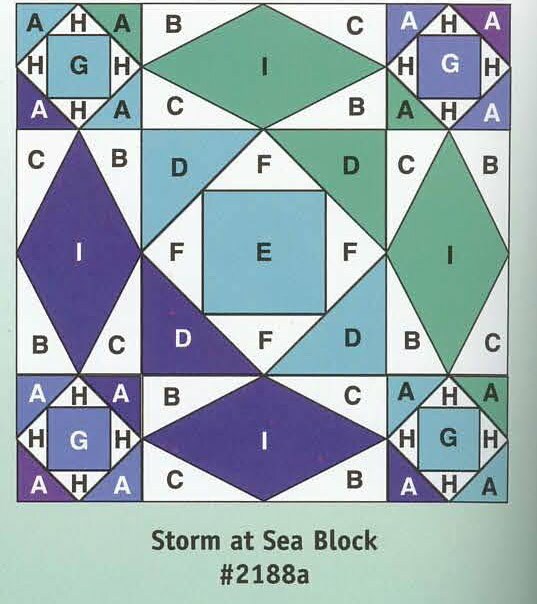 why can't I find a Storm At Sea pattern without fractions ? 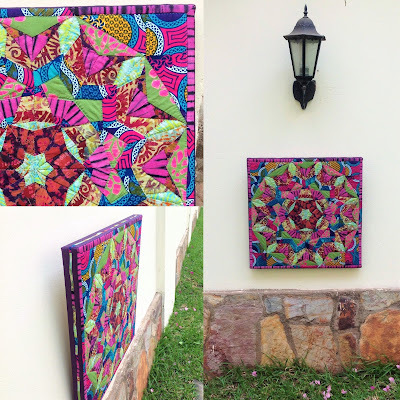 Are you finding patterns with yardage for full quilts or just blocks? I am desperate to find a pattern that will give me fabric yardgae for a king size. think they all have fractions! Your quilt is beautiful and is next up for a group of us in Scotland. I have planning responsibilty for the group and I am desperately looking for a S@S pattern (King) with yardage but can't find anything. The book you mention is not available in the UK, it will take weeks to get to me, the class starts 28th Oct and we need time to fabric shop! 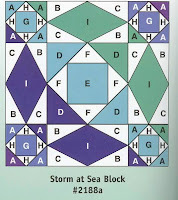 Can you tell me if it gives yardage for the quilt or just a block pattern - I can see plenty of these online - would be very useful to know before I try to find the book in the UK. Thank you. Patricia: can you send me a pm? I have a copy of this pattern! With a little math you can work out the measurements for a King size and add a view more blocks. Found you blog on Pinterest. I have been looking for the pattern for some time. Ordered the book that you said that you got it from. Thanks for all the information.